African Art – Research. Publications. Exhibitions. Auctions. Discoveries. Opinions. Objects. I’m very proud to announce that our new catalogue is ready; you can find it online on this page. Now you know why it had been so silent on these pages these last few weeks 🙂 It has been an honor to work on this historical collection; one truly felt the spirit of Charles Ratton holding the objects he once cherished. In 2014, when I wrote about the Master of the Cascade Coiffure on this blog (here), I could not imagine I would once be so closely involved in the sale of a long lost work of this master carver myself. Besides the obvious masterpieces, even the ‘smaller’ works of this sale are able to fascinate – I highlighted some in an interview with Aurore Krier-Mariani on the Imo Dara blog here – and it is our hope that all types of collectors (with all kinds of budgets) will be able to participate in the dissemination of this important collection. 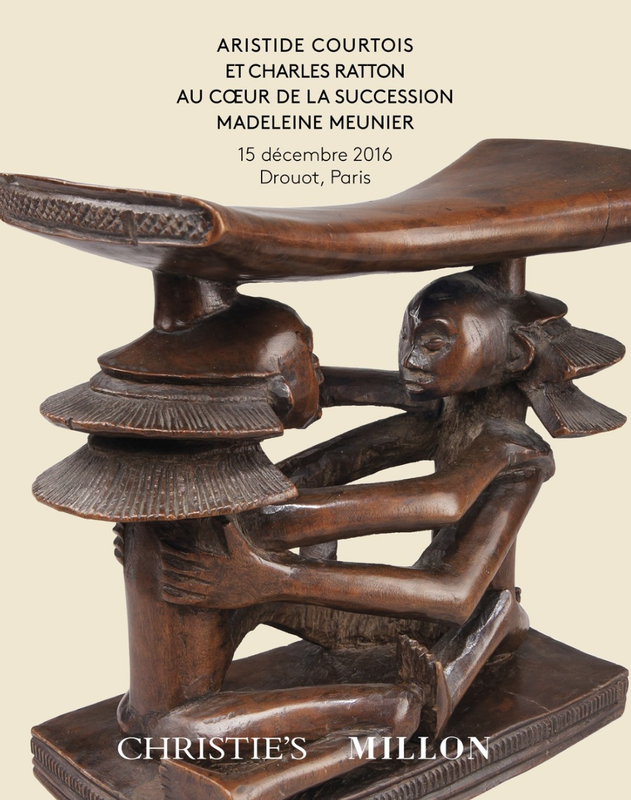 Note that at the specific wish of Madeleine Meunier the sale will take place at Drouot in Paris. From 9 to 13 December, everything will be on view at the Christie’s headquarters in Paris, before moving to Drouot, where there’s an additional viewing on 14 and 15 December. The sale is on 15 December at 6:30pm. I hope to see you in Paris – do let me know if I can be of any assistance. This entry was posted in Auctions, Collectors, News and tagged Luba-Shankadi on November 28, 2016 by admin. Good news reached us from from the Musée Dapper in Paris. Their current exhibition, Masterpieces From Africa (and that’s just what it is!) is being extended until June 17, 2017. This tribute to the museum’s founder, Michel Leveau (who passed away in 2012), shows 130 exceptional objects from its holdings. It’s a must see – who knows when these objects will be on view again..
What’s unique, is that now both the famous Bangwa queen and king figures are on view in Paris at the same time, although at different museums (respectively the Musée Dapper and the Musée du quai Branly) – Paris truly is the capital of African art these days. To get a teaser of the Dapper exhibition show, see the Youtube clip below (in French, and including an interview with Christiane Falgarayettes-Leveau, the museums’ director and curator of the exhibition). This entry was posted in Exhibtions, Museums, News on November 28, 2016 by admin. It’s the time of the year to vote! Not only on your president (if you’re American), but also on your favorite English and French tribal art book. 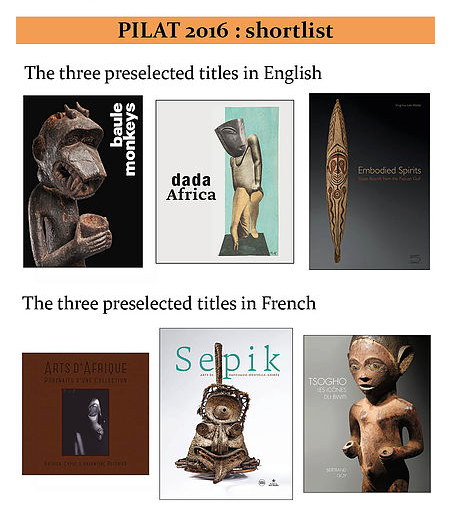 I’m very proud to announce that my book ‘Baule Monkeys’, co-authored with Jean-Louis Danis, made it on the shortlist for the Tribal Art Book Prize (PILAT) 2016. Its one of the three preselected titles in English (the language the book was written in). An independent jury will select the winner early December and takes into account the readers’ vote. So if you could help my monkeys to get as many votes as possible, they surely will not be able to ignore them – you know how monkeys are. So, please do vote for my book Baule Monkeys HERE ! Quit monkeying around, vote now! Thanks. This entry was posted in News, Publications on November 8, 2016 by admin. 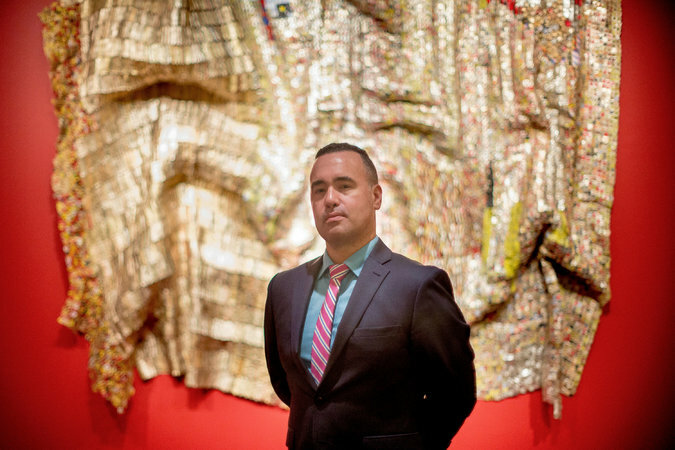 Kevin Dumouchelle with an untitled 2009 work by El Anatsui at the Smithsonian Museum of African Art in Washington. Image courtesy of Gabriella Demczuk for The New York Times. To use a soccer term, the news of two ‘top transfers’ recently reached us: after almost a decade at the Brooklyn Museum, Kevin Dumouchelle has joined the Smithsonian Institution as Curator at the National Museum of African Art. Constantine Petridis in his turn, after 15 years at the Cleveland Museum of Art, has just been appointed chair and curator of African art and Indian art of the Americas at the Art Institute of Chicago. We wish them both much success in their new professional endeavors. 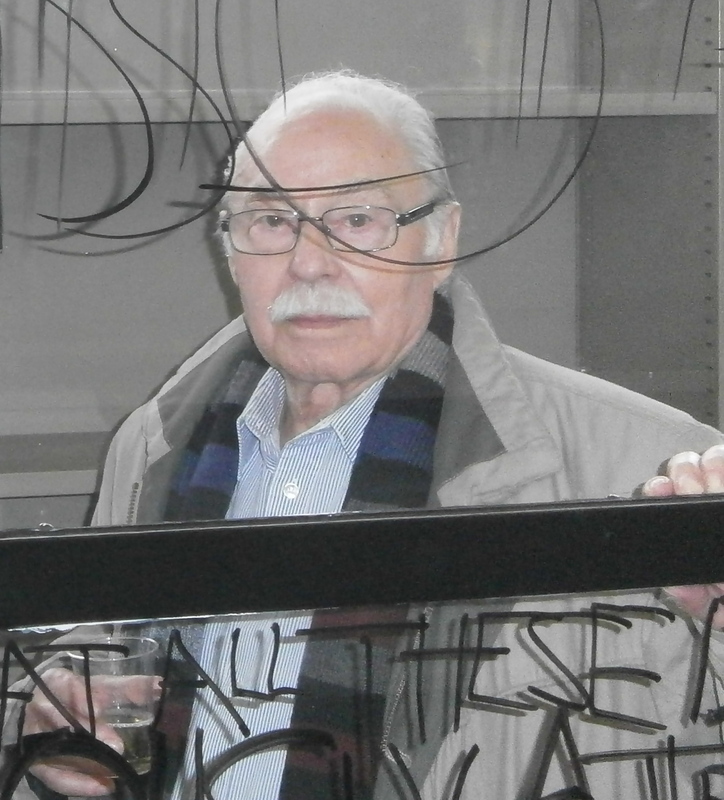 Across the pond the sad tidings reached us that Herman Burssens, professor emeritus at Ghent University, passed away at the age of 89. Burssens is best know for his excellent work on the sculpture of the Zande (Yanda-beelden en Mani-sekte bij de Azande (Centraal-Afrika), 1962). This entry was posted in Museums, News on November 6, 2016 by admin. 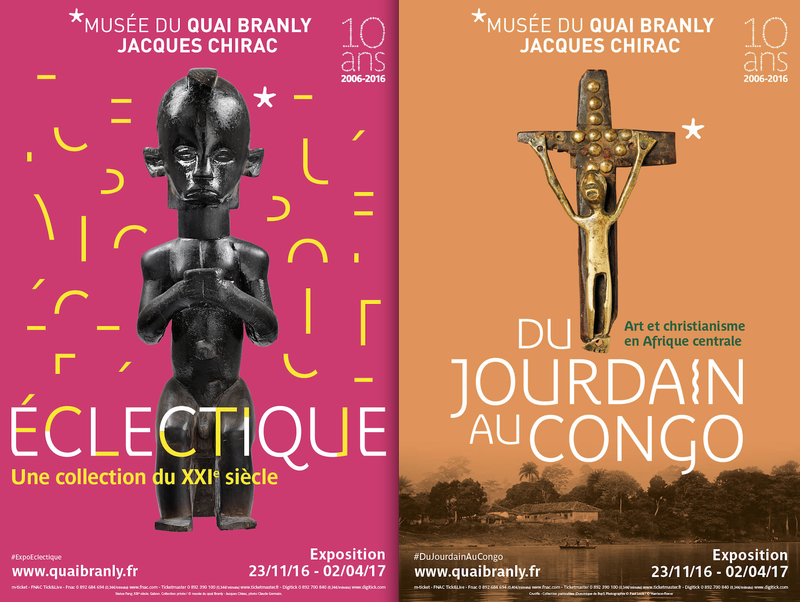 The Musée du quai Branly – Jacques Chirac surely is celebrating its tenth birthday properly. The end of this month sees the opening of two now exciting exhibitions. The first, “Eclectic“, from 23 November 2016 until 2 April 2017 and curated by Hélène Joubert, will show around forty key works, mostly African, from the private collection of Marc Ladreit de Lacharrière. He’s the 23rd richest man of France (source) so you can expect some stunning works for sure. Opening at the same time is “From the Jordan River to the Congo River. Art And Christianity in Central Africa” (info), curated by Julien Volper and showing about one hundred African works of Christian inspiration (crucifixes, sculptures, pendants, engravings and drawings) drawn from various private and public collections in Europe. This type of objects always gives me mixed feelings, as it were these same Christians that were responsible for the destruction of so many African cultures, but the syncretic objects that survived surely are interesting. Perhaps the most anticipated upcoming exhibition at the Musée du quai Branly is Picasso Primitif. Curated by Yves Le Fur, a first segment of the exhibition will chronologically document Picasso’s interest in non-Western art, while a second part will be more conceptual and confront works of the artist with those of non-Western artists (as was done during Primitivism in 20th Century Art). 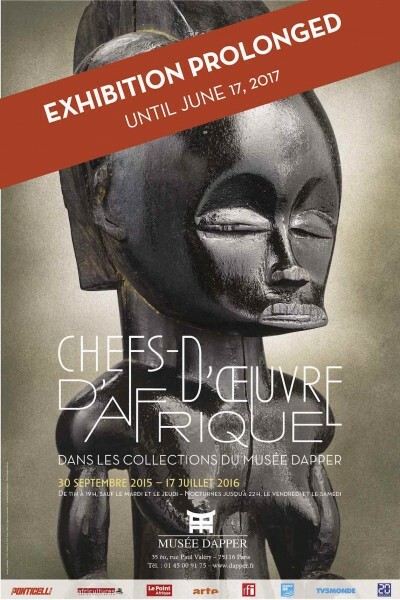 Hopefully the exhibition will draw as much new attention to African art as the latter once did. It was about time someone organized an exhibition on this subject. However, personally, I do regret the use of the word ‘Primitif’ in the exhibition’s title; I thought we had moved past the use of the P-word by now. Picasso Primitif runs from 28 March until 23 July 2017 and will be followed by what surely will be an epic exhibition on the art of the Fang. I don’t see many other museums with such an impressive agenda, so kudos to the Musée du quai Branly ! ps I once mentioned that Fang figure on the exhibition’s poster on my blog, see Investing in African art and ‘the rule of 72’. ps2 Picasso’s nimba figure is currently on view in Brussels at the Bozar where it presented with a huge Female head by the master in an exhibition on his sculpture. This entry was posted in Exhibtions, News on November 6, 2016 by admin. Enter your email address to follow this blog and receive notifications of new posts in your mailbox.